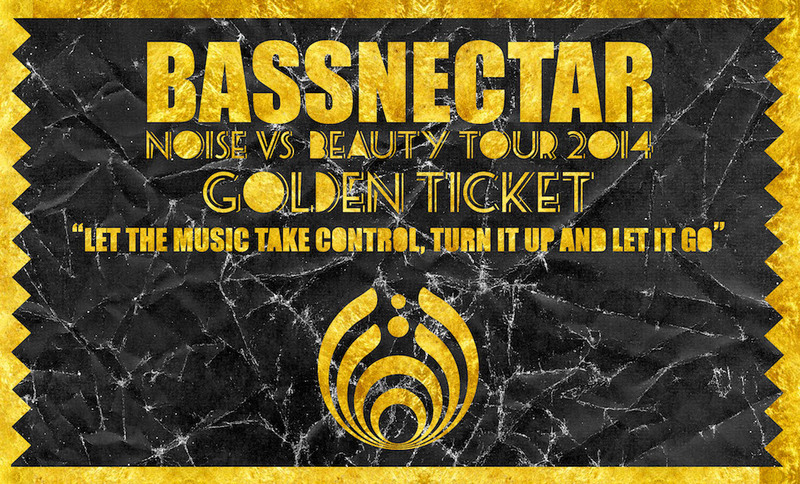 The NVSB Tour 2014 is fast approaching and we want to unite Bass Heads across the country all at once for the scavenger hunt of the year! The prize? GOLDEN TICKETS! The NVSB Nationwide Scavenger Hunt is going down this Sunday September 14th in (nearly) all cities we will be storming on the upcoming tour! >>> Each scavenger hunt will kick-off at 1PM in your local timezone. >>> Once you find your way to the first location, an Ambassador in Bassnectar gear will be waiting for you with the clue to the next location. You MUST take a photo of yourself with each Ambassador to progress to the next clue. >>> Be the first person to solve all the clues and you win the Golden Ticket – good for 2 passes to the show in your city! GREENSBORO knows what's good: We have found ourselves a winner!! Congrats to our father/son combo team!! ???????????? Damn looks like DETROIT HUSTLES HARDEST!! DETROIT HUNT HAS BEEN WON ???????????? CONGRATS!! Thanks for participating!! HARTFORD HAS A WINNER!!???????????????????? Congratulations!! ROCHESTER!! Congrats to our winner!!! ???????????? Well played!!!! PITTSBURGH! BICYCLES FOR THE THE WIN! GENIUS! ???????????? Congrats!!! NYC: Thanks for playing our game of Where's Waldo in Times Square 😉 WE HAVE A WINNER!! See you at BASSCENTER 8 on Oct. 4th!!! ???????? Columbus crushed it!! We have for ourselves a WINNER!!!! ???????????? BOSTON!! Our winners booked it around the city like mad men on foot! Take a breather guys, you're going to the show in Lowell!! Congrats!!???????? WOW Kansas City you are ZIPPY! WE HAVE A WINNER ???????????? Congrats!! CHITOWN GET DOWN!! We have ourselves a winner in the Windy City!! Glad it was a beautiful day 🙂 ???????????? ST. LOUIS WE HAVE A WINNER! Congrats on finding the gateway to the BASS ???????????? AUSTIN you guys down south ZOOMED! Congratulations to our winner!! ???????????????????? And the fastest hunt time thus far goes to…LAKE TAHOE! You bassheads are QUICK ???? enjoy the show and congrats!!! ???????????? SACRAMENTO!! The Cali Capitol has a WINNER ???????????? thanks for hunting and congratulations! SAN FRANCISCO you crazy cats crushed our city wide adventure!!! CONGRATS and have a great time at the final stop on tour ????????????? Cleveland capped it off! Shout out to our dynamic duo for winning the golden tickets!! ??????????? ?